Take part in our Big Bear Sculpture Trail this Easter! Twenty six-foot tall hand-painted bear sculptures have been placed around Wild Place Project, each decorated by talented artists from around the UK with a unique design and story to tell. Sculpture seekers can embark on a journey around Wild Place Project; equipped with a trail map, stickers and a drive to discover all 20 sculptures alongside amazing species from around the world. For every four bear sculptures you find, you will be awarded a sticker. 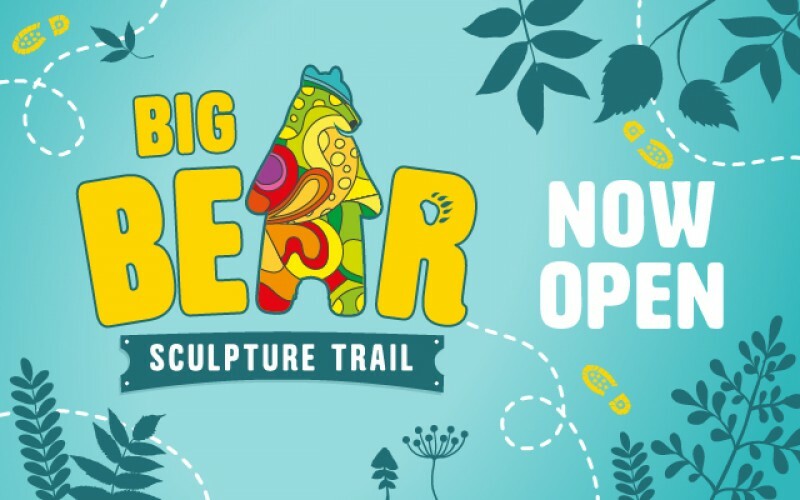 Bring your friends and family to become the ultimate Big Bear Sculpture Trail explorer! Colour in your own bear! Take part in our colouring competition and design your own bear. Download a colouring-in sheet or pick one up when you arrive, colour in your bear and post it into the post box at the fun fort for a chance to win a return family ticket to see the Bears in Bear Wood! Why did we choose bears? We are getting excited about our new Bear Wood exhibit opening this summer! Find out more here. Who has painted the Bears? Talented artists from around the UK have decorated our 20 bear sculptures. Follow us on our social channels and search #BigBearSculptureTrail to find out more.